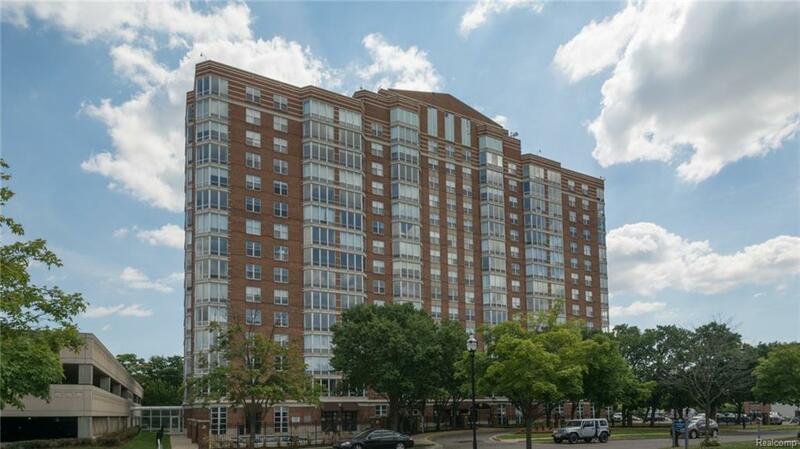 Updated 2-bedroom 2 Bath condo in one of Detroit's most wanted waterfront communities. This spacious unit has beautiful views of the Detroit River & Belle Isle Newer and unique items include wood floors, cabinets, granite counter tops, stainless steel appliances, in-unit laundry, building upgrades include a new AC system, 2 new elevators & many new upgrades in all common areas. Friendly onsite maintenance & management staff. Community amenities include 24 hr. community security, pool & fitness center, bicycle racks and direct access to The Detroit Riverwalk and an onsite marina (optional Seasonal fees apply).